Lately many big fashion brands have been ditching animal products and deciding to ban certain animal-derived materials such as leather, fur, angora, and mohair. Companies are realizing that it is not ethical or sustainable. 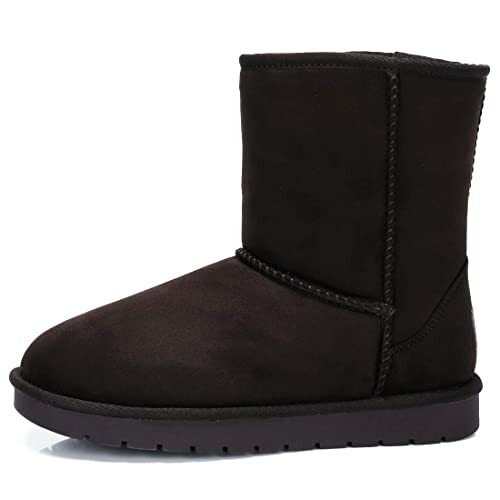 The most recent brand to make a change is Bearpaw, who along with UGG is one of the most famous winter boot producers. Unfortunately, their boots are made with wool and sheepskin. Although they have not completely banned animal-derived ingredients, they have added a vegan line which so far includes three vegan versions of some of their classic shoes. There is the Elle Short Vegan boot, Elle Tall Vegan boot, and Loki Vegan slipper. These shoes are made with vegan microsuede (polyester), polyester blend lining, and rubber outsoles. This vegan line is an exciting addition because it can hopefully inspire Bearpaw to no longer use animal-derived materials. Or at the very least, it can inspire other companies like UGG to follow suit and create vegan boots for which no animals are harmed. About their winter boot, Camel Crown says: “No animals are harmed creating the fluffy lining, but we use comparable material to offer you a same comfortable wearing experience.” The price for these boots varies by size between $17.99 and $40.86. For more vegan-friendly winter boots, check out our list of 20 Stylish and Comfy Non-Leather Winter Boots for Men and Women. For more awesome Animal, Vegan Food, Health, and Recipe content published daily, don’t forget to subscribe to the One Green Planet Newsletter!